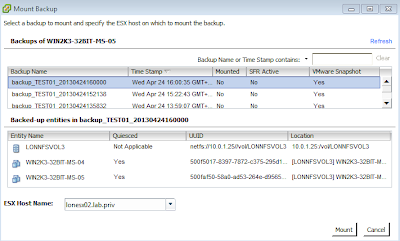 Here we will delete a VM from a shared datastore and recover it (without affecting the other VMs on the datastore.) The VM has first been powered of as in the 1st image below. We right-click the VM, choose ‘Delete from Disk’, accept the warning, and it is gone as in the 2nd image below. 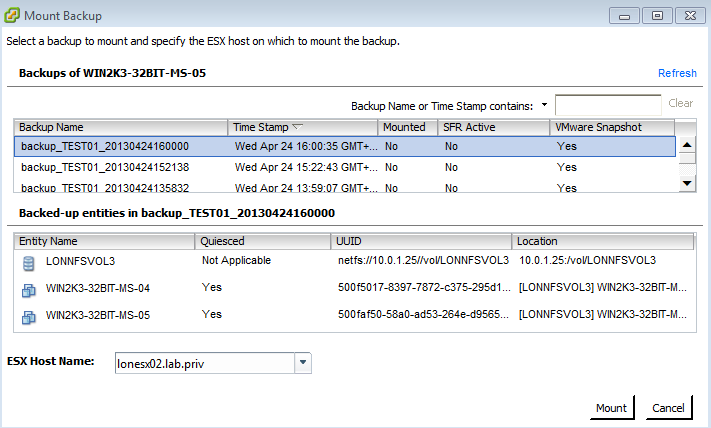 And wait for the VM to be restored to its original datastore! 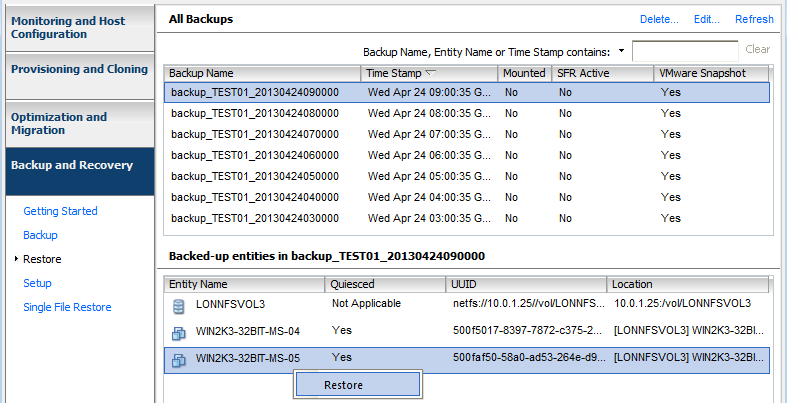 Image: NetApp Restore from Backup Completed! The final step is to add the recovered VM to the Inventory! - Power on the restored VM as required! IMPORTANT NOTE: Essentially the VM files are being taken from a read-only snapshot copy, and copied to the live volume, so it will take however long it takes to copy. 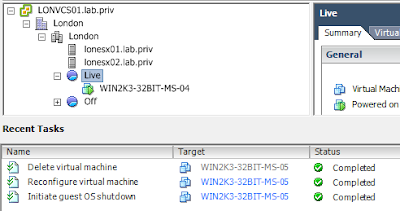 In this highly nested lab, it took 20 minutes to restore a VM of 2GB size. 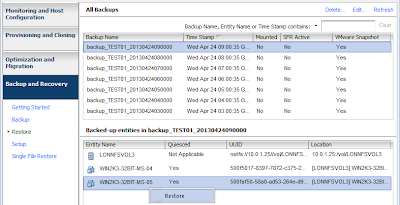 Note: With the VSC, it is also possible to simply mount a backup snapshot, and VMs could be run from here then Storage vMotioned back into the original datastore. 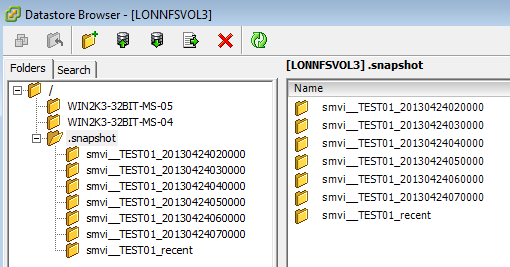 When the VSC creates an NFS datastore, it creates it with the vol options VOLNAME nosnapdir off. This option - nosnapdir off - allows you to see the .snapshot directory. 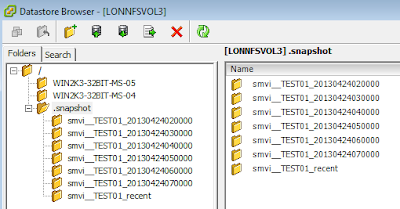 The .snapshot directory contains folders for all the snapshots of that volume. These snapshots are read-only.